Richard Shelton is the author of twelve books or chapbooks of poetry. His poems and essays have appeared in more than 200 magazines and literary journals. He is the author of two books of creative nonfiction: Going Back to Bisbee, which won the Western States Book Award, and Crossing the Yard, which chronicles his work establishing creative writing workshops for inmates in Arizona state prisons. In addition to writing Mr. Shelton serves as Regents Professor (emeritus) of English at the University of Arizona. This interview was conducted through email by Interview Editor Jamie Acevedo. 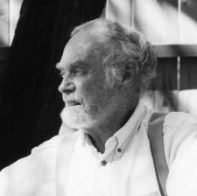 He said of the process, “I was first introduced to Mr. Shelton's writing in a class on creative nonfiction which led me to read his memoirs Going Back to Bisbee and Crossing the Yard, and I was happy to find that his poetry was just as enjoyable as his nonfiction. Mr. Shelton writes with a unique voice that exudes authority on whatever topic he covers.” In the interview the he discusses to use of tone, and the difficulty of accurately representing history in writing. Superstition Review: Would you describe your process for writing poetry? How do you come up with the ideas for your pieces and how to do you bring them to fruition as finished works? Richard Shelton: I don't have any set process. Years ago I got into the habit of "automatic writing"—the process used by the French Surrealists early in the 19th century—and I practiced it pretty deliberately, but in later years I just wrote. I usually amass a series of lines or phrases or images that don't seem to have any relationship to one another and then put some of them together and see where they lead. In other words, I construct a poem out of bits and pieces. I usually don't know what I'm writing about until near the end, and then sometimes don't know. I have published a few poems that I had no idea what they were about, but readers seemed to know. That's fine with me. SR: Going Back to Bisbee has been anthologized in textbooks such as Carolyn Forche and Philip Gerard's Writing Creative Nonfiction. Can you discuss your personal definition of the genre and how Going Back to Bisbee differs from a traditional memoir? RS: I intended to write a book based purely on the flora and fauna of Southern Arizona, but the stories kept creeping in. On the advice of my wife who has always been my best and most sagacious reader, I decided to leave them in. The result, which I didn't realize until the book was finished, was the narrative of a journey describing some of the flora and fauna along the way which functions as a string on which the stories are threaded. It was my first full-length nonfiction book, and I was really flying by the seat of my pants. I think that was a good thing, although I also think my next nonfiction book, Crossing the Yard is a better book, although it has received much less attention. The structure of that book is a simple chronology. SR: A recurring theme in Going Back to Bisbee is the relationship between groups and organisms that share the same space. The Yucca elata and the moth that pollinates it maintain a mutually beneficial partnership while other relationships like those between ranchers and coyotes or the U.S. army and the Apaches are antagonistic. Can you explain why you chose to write about this theme? How does it factor in to other areas of your life? RS: I was not conscious of writing on this theme. I was just describing what I know about flora, fauna, and history of the Southwest's deserts. Perhaps that theme is indigenous to any natural history subject. SR: In Going Back to Bisbee you note that, “Creativity is a strange thing. The enjoyment one gets from it seems to have no relationship to the quality of the finished product.” Please discuss how this insight applies to your process as a writer. RS: This insight is merely a tongue-in-cheek attempt at a little humor. It is based mostly on my observation of my many writing students and their work over the years. SR: In Going Back to Bisbee you write about “the exact tone of casual authority” needed to present desert birds and get people to accept the creative names you've devised for them. Can you describe your use of tone as it applies to your writing and how it can be used to create authority? RS: This is a very difficult question. Tone, in general, is determined by the writer's attitude to his or her subject and attitude to his or her audience. You have to have some kind of general audience in mind in order to know what tone to adopt. (In Bisbee I was aiming for people who come to Southern Arizona—usually older people like the snowbirds who come every winter. These are intelligent, often sophisticated people who truly want to learn more about the landscape.) But tone is also determined by many other things: vocabulary, syntax, sentence structure, etc. In order to vary one's tone, one needs to be able to manipulate all these elements in different patterns depending on the tone one wants to achieve. Hemingway achieves a direct and clear tone often by means of short declarative sentences in a style invented by writers on Time magazine. On the first page of Mark Twain's Roughing It is a sentence with one subject and nine predicates. He is suggesting the wide-eyed gushing of a naïve young man. Twain is a master of tone, as is Dickens, and both use a full range of techniques to get the effect they want. SR: In your poem “In Search of History” you write that “Historians suffer from the fever of time, but they never know what time it is. They are mad poets making up stories.” Can you explain the thought behind this passage? Do you feel history can ever be truly recorded and recounted objectively? RS: History can never be truly objective because it is written by humans. Even photography is not an objective record since the photographer chooses what to photograph and how to view it. As hard as historians or memoirists try to recount the past accurately, they are always viewing it through their own lens, a form of distortion. And memory is notoriously unreliable. SR: You have spent years establishing creative writing programs in prisons throughout Arizona. In Crossing the Yard you write about the emotional and psychological benefits these programs have provided for you and your students. Can you elaborate on how teaching in these programs has specifically affected you? RS: Working in prisons for the last 37 years has changed my life more drastically and dramatically than I can express. It has given me both joy and pain at a level I would not otherwise have experienced on a regular basis. It has given a purpose for living and taught me compassion. It has taught me to view our entire culture from a different perspective, and cured me of any degree of sentimentality I might once have felt. It has made me many, many friends whome I would not otherwise have known, not only the inmates but their families. Ken Lamberton's three daughters have become my daughters. Billy Aberg's mother has become my mother. My life has been enriched and blessed every day by the work in the prison. SR: In Crossing the Yard you mention that during a particularly difficult period at the Arizona State prison in Florence that the publication success of some of your students “gave us something tangible, something we could touch to prove to ourselves that we were accomplishing things.” In general how important is achieving publication to measuring the success of a poem or work of nonfiction? RS: The fact of publication (regardless of the quality of the work) is enormously important to an inmate. It is an affirmation of self, a cry from the darkness saying to the world, "I am still here, still alive—a real human being and I matter because my name is on this page along with something I have produced." SR: Which authors have had the biggest influence on you? RS: Hundreds. Early on I was fascinated with the surrealism of the French surrealists, but that influence waned although it is clearly apparent (perhaps too apparent) in my early books. I guess my primary influences have always been European poets, especially French poets, and those American poets who were influences by the French. Perse, Follian, Char and Breton would probably head the list of French poets. I have always admired those American poets who whose work is most socially (politically) engaged. I think poetry can say things about social and political climate that can be expressed in no other way. SR: Your poem “The Stones” deals with the differing attitudes towards change among the young and the old. In the poem you write, “It is true that old stones get to be very conservative. They consider all movement either dangerous or downright sinful.” How might this observation apply to your own evolution as a writer? How do you feel your writing has evolved since the beginning of your career? RS: The Stones is tongue-in-cheek throughout. I am dealing with popular and often erroneous perceptions. I was attempting humor, not some grand statement about humanity or myself. I feel that my poetry was very tight and limited technically at the beginning, and the process since then has been an opening and expansion in every way—technique, subject matter, attitude and risk taking. I can still use the techniques I used in my first books, but I am not limited to them. Writing the generally short prose pieces (prose poems?) collected in The Other Side of the Story has helped me blur the line between poetry and prose, and this has given me a freedom I did not have earlier.